I am - and have known - a number of people who have written and published books, either via more traditional publishers or by self-publishing. Personally I have done the self-publishing route for a number of reasons. 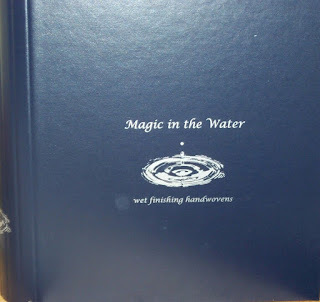 For Magic, it was the logistics of getting a book with actual fabric samples into the hands of readers. Having been involved, either directly or indirectly, in getting books 'born', I can tell you that it isn't easy (if it was, everyone would do it) and it costs a lot. There are the actual out of pocket expenses that are, for the most part, hidden. For Magic, it was pretty obvious that a fair chunk of change went into the materials for the samples. But what wasn't perhaps so obvious was the number of hours of labour that went into it as well. Not just the writing, and there was plenty of that, not just the cost of the yarn, and it wasn't cheap. There was the designing of the presentation, which went through a number of iterations. There was the investment in the binders. The meetings with the printer. The cost of the paper. And the actual printing. The hiring of a top notch photographer, the models for the garments. There was the assembly. My brother allowed me to turn his rec room with billiard table into an assembly line. From 2002 until his death in 2008, Magic lived in his basement as we assembled copies as they sold. It was only in the months following his death when we had to clear his house out in order to put it on the market that the last few copies were finally dealt with and assembled, then put into storage elsewhere. How many hours? Who knows. There was me, obviously. There were the many hours my then studio assistant was paid in order to weave more samples, then help with the wet finishing. There was my mom and several friends who came to help with the assembly line. There was Doug who became VP of assembly for a year. Or more. There was the marketing. Paying for ads (it took selling three copies to pay for one ad in Handwoven). There were the special shipping boxes. The hours of filling out customs forms, dragging bins full (at first) down to the post office. There was the booth at Convergence in Vancouver when Magic was first launched. And then every fibre event I could drive to afterwards. There were the three copies I donated to libraries - and a couple more to worthy causes. 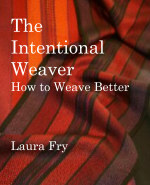 All of this is why I have decided to go the digital/print-on-demand route for The Intentional Weaver. Do you have any idea at all how much room a 1000 binders, the pages to go in them, the samples stapled to the pages, take? My brother's basement. His entire basement, except for the laundry area. With the internet developing the way it has done, with print-on-demand websites, the decision to go this route instead of looking for a traditional publisher was quite easy. 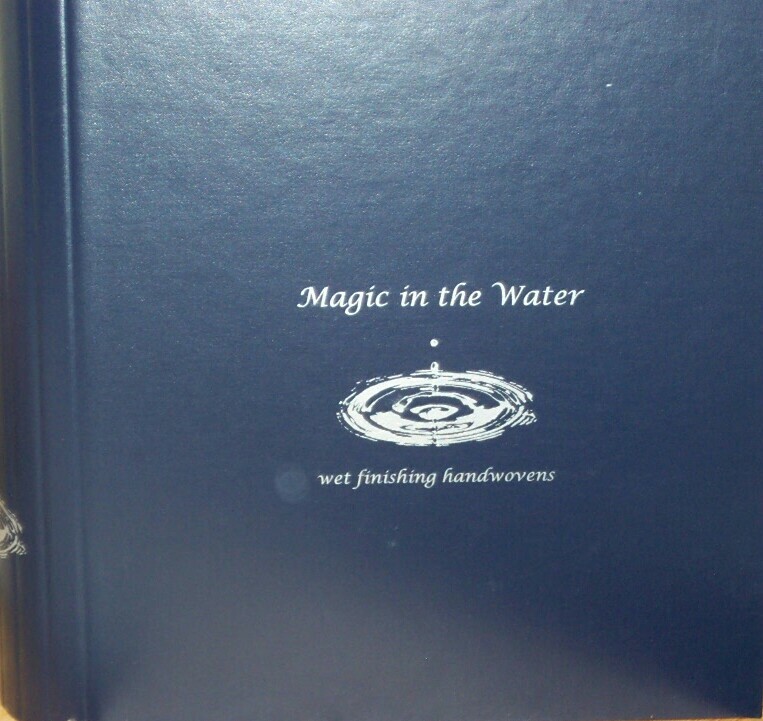 On the other hand, I have spent at least as much time, if not more, getting this book to this stage as it took to get Magic to this stage. 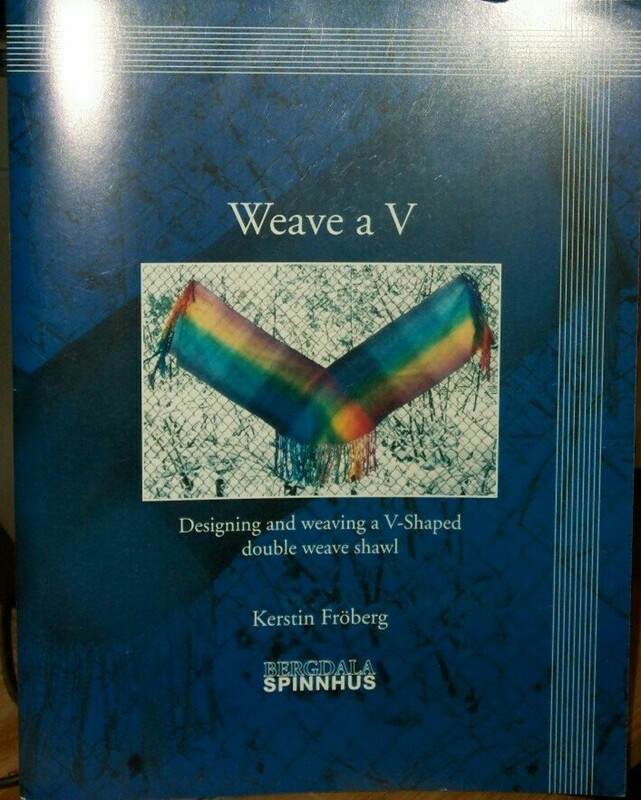 Well, no, Magic still took way more effort because of weaving, wet finished and cutting apart the samples. But that aside? Yes, more hours writing, certainly, in large part because Magic was quite narrow in scope and this one is much, much broader. Therefore it's taken much longer to get my thoughts in order, decide on what I want to include, then edit, edit, edit for clarity. On top of that, TIW has been delayed repeatedly as I dealt with one health issue after another. I first started thinking and planning this book at least 6 years ago. Well, longer ago than that, but the initial idea fell through for a number of reasons, and I shelved the idea then. Then I focused on getting the DVDs done, thinking that would be all that I really needed to do. But no, that wasn't quite all of the story, either. But then I had to put my life on hold while I dealt with the by-pass surgery, the recovery from that, adverse drug effects, over and over again. And then the house renovations, mom getting sick, my feeling something wasn't quite 'right' with me - which it wasn't. Through it all my friends encouraged and supported me and, when I found myself about 10 months ago completely unable to carry on by myself, I contacted someone I knew who did technical editing and cried 'uncle'. She agreed to fit me into her editing queue, and, well, here we are. I share this story, not to elicit sympathy. Because I know other authors have similar stories. We write because we must. There is something about setting the knowledge down in words that becomes compelling. Imperative. So when you read a book that you feel is valuable, the best thing you can possibly do is to tell people that you think it's worth the purchase price and why. Which is one reason why I list the books I'm reading here. If I record the title/author in this blog, it's because I feel it is worth my time and effort to read it.